St James is the Church of England Parish Church of Hampton Hill, Middlesex. We are a family friendly community of Christians, a wide range of people from different backgrounds and of different colours and ages. We are open to and challenged by the future, seeking to equip people for their daily lives, inspired by our worship of God. We have a keen desire both for growth in numbers and also to make a contribution to the community, locally, nationally and globally. Whoever you are you are assured of a very warm welcome at our church. 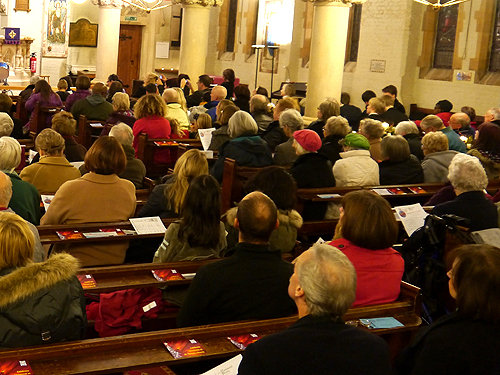 St James’s Church offers a range of worship services on Sunday and through the week. Divine worship is a core activity our church’s life and a significant point of our contact for our community. The musical aspect of worship is a vital part of the mission, ministry and vision of the church. 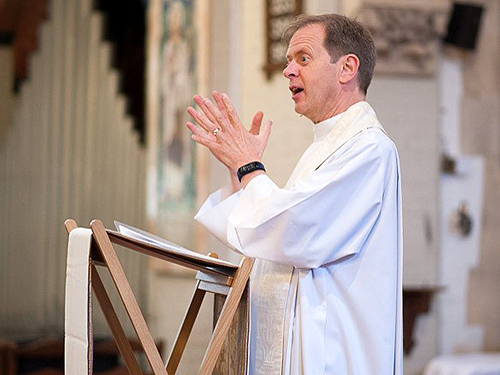 At St James’s we serve many people in many ways: giving the opportunity for worship to those attending our regular services; sharing the joy of a couple coming to be married; a family bringing their child for baptism; comforting the bereaved. To all these and many more we seek to be a channel of God’s love to those looking to our church for help and encouragement. Our impact is also felt well beyond the church building itself, sometimes to those who may not normally look to the church for help. Alongside our regular worship, we offer the very popular Ark drop-in for young families and host numerous groups in our buildings. Through our outreach into the community, often in partnership with others, we are constantly seeking to meet the needs of the marginalised and vulnerable in our society, aiming to be the salt and light in our communities that Jesus challenges us to be. We are a Registered Charity, number 1129286. St James's website is open to all who wish to view it. External sites will open in new browser windows. To find what you are looking for, use the search facility or check the site map. You are welcome to use material from this site once you have gained permission from the webmaster. You must duly acknowledge the author and source in your usage. The usage of material from St James’s website is governed by the provisions of the Intellectual Property Law. Thank you. Any questions or comments about the website please contact the webmaster Prill Hinckley.